There are several brands on Pinterest leading the way on experimenting with contests. And more appear to be launching contests everyday. We’ve noticed a variety of contest types ranging from highly detailed pinboard entries to more subjective contests. Users create a pin board under the contest guidelines and brands select the best one. Contest entrants create pinboards and specific images for users to like and/or repin and entrants win based on the amount of likes/repins they receive. Random winners drawn from a pool on entries. 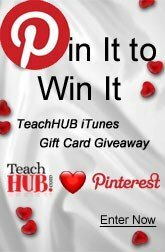 People can enter the sweepstakes by repining an image and/or following a brand on Pinterest. It is still early days for marketing on Pinterest, but many brands are looking to invest in the platform and some obvious best practices are beginning to emerge for contests. 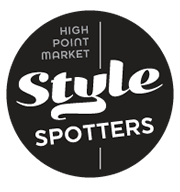 Create a legitimate looking contest. Make sure your contest has a homepage with specific rules that lives on your official website. Pinterest is already seeing scam contests so to ensure Pinterest users get involved, they have to trust your campaign. Create a repinnable image (yes repinnable is a word). One of the first steps for promoting a Pinterest contest is to have an image that your followers can repin for you easily. 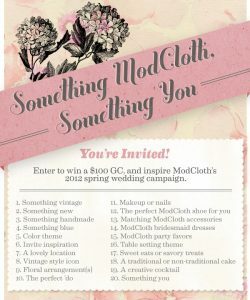 It should list the contest name, display the brand, mention a prize and reference the rules. Have clear rules listed. These most likely should live on your official website or blog, but can also be reference on Pinterest.com. Support the contest with existing resources. Help get the word out through email lists, blogs, Facebook, Twitter and any other audiences your business has access to. 4. 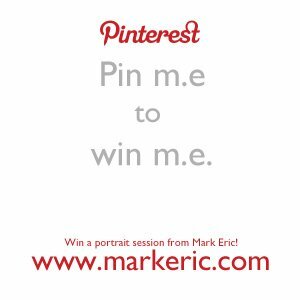 Mark Eric: Pin m.e. to Win m.e.